What does MK mean? This page is about the various possible meanings of the acronym, abbreviation, shorthand or slang term: MK. mk is the build tool replacing make in Version 9 Unix, Plan 9 from Bell Labs, and Inferno. It improves upon its predecessor by introducing a completely new syntax that is both easier to read and more powerful. It has been ported back to Unix as part of Plan 9 from User Space. 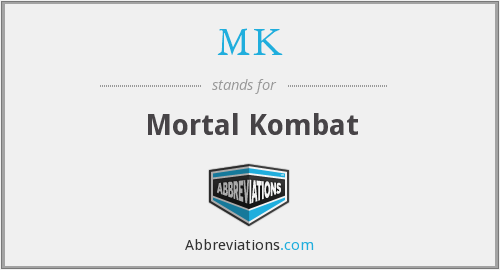 Couldn't find the full form or full meaning of MK? Know what is MK? Got another good explanation for MK? Don't keep it to yourself! "MK." Abbreviations.com. STANDS4 LLC, 2019. Web. 20 Apr. 2019. <https://www.abbreviations.com/MK>.